"For the farmers, OK, it's going to get good. We're going to let your guest workers come in," Trump said. 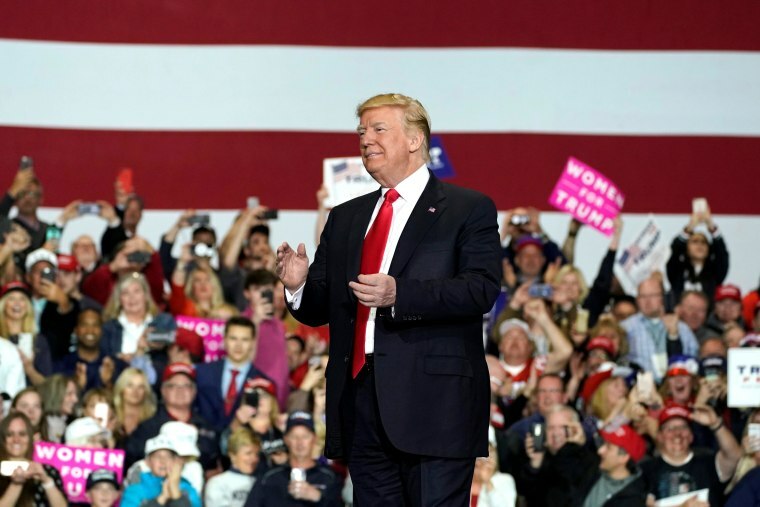 WASHINGTON TOWNSHIP, Mich. — President Donald Trump said Saturday that he would let more guest workers into the U.S. to help farmers whom he said may suffer "a little pain for a little while" because of his own efforts to renegotiate trade deals with several foreign partners. "For the farmers, OK, it's going to get good," he said at a political rally here, about a 45-minute drive north of Detroit. "We're going to let your guest workers come in." That could come as a shock to the portion of Trump's base that is most ardently critical of the current U.S. immigration system. For months, the president and his top White House advisers have been promoting a rewrite of the nation's immigration laws that would make it harder — not easier — for low-skilled workers to come into the country. But Trump essentially contended that bringing in cheap labor under the H2B visa system — which allows only for temporary entry into the country — won't hurt U.S. workers because there aren't enough available hands for farmers now. "The unemployment picture is so good, it's so strong, that we have to let people come in," he said. "They're going to be guest workers. They're going to come in, they're going to work on your farms ... but then they have to go out." The plan didn't appear to be a hit with his audience. While they cheered his tough talk on border security — and chanted "build the wall" in reference to the border barrier he wants to erect between the U.S. and Mexico — he got lackluster applause when he asked what the crowd thought of the temporary-worker proposal.